Hi, I’m Jennifer and I’m a Licensed Real Estate Broker in Chapel Hill, NC. I’ve been a REALTOR here since 2008 after working for many years in marketing and client management with large insurance and high-tech companies including 16 years at IBM. 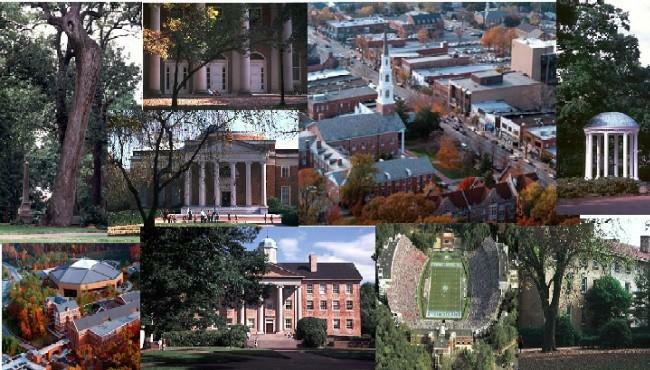 I was born and raised right here in Chapel Hill but have also lived in Boone, NC (where I earned my BA in Marketing from ASU), Raleigh, NC and Portland, OR. I returned to my hometown in 2007 because it’s a great place to raise a family! In my previous career, as noted above, I worked in marketing and client management where I learned to succeed through having solid systems and processes behind everything. I’m that rare REALTOR that loves a contract (not just because hopefully it’s leading to a sale) but because I have great systems in place to carefully walk my clients through the process from offer to negotiation to closing. I’m analytical, organized and will do all the research necessary to lead to a successful closing for my Buyers and/or Sellers. Emotions can sometimes take over real estate transactions and while I understand that, I have the experience and knowledge to help my clients step aside from their emotions and make good decisions. I told someone recently that I LOVE my job and when asked why, I immediately answered: I LOVE helping my Buyers find a home, that place that they come home to everyday and want to be there. I LOVE educating my Sellers and getting them the most that the market will allow. I LOVE meeting new people and assisting them with new journeys. In my spare time, I enjoy spending time with my family, playing tennis with my son, running, walking my dog, swimming, SCUBA, antiquing, and renovating homes. I lived away from this area for 18 years and am so happy to be back home in Chapel Hill. This area, surrounding communities, is a great place to call home and if I can be of assistance to you with your real estate needs – please call, email or text me. I’d love to help you! I can’t say enough positive things about Jennifer. She went above and beyond in helping me find, secure, and close on my perfect home in Durham - all in record time and with me primarily in Massachusetts. Jennifer is amazing and her network is amazing, too. I have closed on six homes in my life and this by far was the best. I felt in good hands throughout the entire process. Jennifer helped me overcome every obstacle with her creative problem-solving. She has exquisite attention to detail and wonderful customer service. I know she had other clients during my home buying process, but she managed to always make me feel like I was the only one! I highly recommend her. Jennifer was very responsive and ready to discuss any concerns we had as we moved through the home-buying process. She began by helping us understand how the process in North Carolina differed from our experience in another state. Jennifer pointed out home features in terms of functionality and options that we had not considered. She kept a clear line of communication between us and the sellers’ agent as questions arose. Overall, she is very knowledgeable and proactive in sharing her knowledge. I would recommend her to anyone starting the home-buying process. Jennifer is very knowledgeable about the Chapel Hill market. She was very patient throughout the process and recommended reputable contractors to evaluate the scope and cost of necessary repairs prior to closing. Jennifer was the perfect introduction to a new market for our family. We worked with her this summer to purchase a house, and between her years of experience in the business and being a native to the area, she knew everything about the local area and had excellent professionals (mortgage lenders, contractors, inspectors, etc.) just a text away to help immediately when we decided on the perfect home. Jennifer is incredibly responsive (really at all hours of the day), but she takes it to the next level. She can sense when you might be a little hesitant, frustrated, or some other emotion, and before you know it you are receiving a phone call to talk through the whys, the whats, etc. to put your mind at peace. The first day my husband and I met Jennifer, we viewed a few houses and she was very attentive and attune to our comments and non-verbal language about what we liked or didn't like about homes to get an even better sense of our style and preferences. She also suggested we sit together at the end of the day to go through the buying process in North Carolina. We've bought/sold now in 3 states, and each is radically different, so this overview helped prevent confusion moving into the process. I could go on about the fantastic experience we had with Jennifer, but sometimes the best compliment is simply stating she has won all of our future business and referrals of our friends and family. She is really excellent and talented! We found Jennifer they Zillow around July 4th. Despite being a holiday weekend she talked with us and we met within a few days. We saw a bunch of places and she was able to find some unique houses that were my style, eventually we found the perfect place. I'm a first time home buyer and she walked me through everything. Also she lives in and knows the area super well so she was able to tell us about different neighborhoods. She would answer questions and be available to talk almost any time of the day. She also cared about me being happy with what I bought and we went back multiple times to make sure I was. She facilitated everything and made sure that nothing was overlooked. Jennifer was our realtor for the sale of our current home and purchase of a new home. She was extremely knowledgeable about the current local market and provided valuable advice on preparing our home for the sale. From start to finish she kept us up to date and communicated effectively. Jennifer worked extremely hard to make sure that we were well represented in the sales and purchase of our homes. I would give her the highest recommendation. Jennifer is not your typical realtor, she is the most amazing realtor EVER! Being that we were out of state buyers, she went above the beyond to find us a home. Jennifer even drove through a blizzard to show us a house we wanted and her knowledge of the area was incredibly helpful. She explained the ins and outs of NC real estate contracts, help negotiate a better deal, and aided in coordinating vendors and utility setups. She's truly a full-service realtor and we couldn't have done this without her. I'm still impressed with everything Jennifer has done and recommended her to my friends and colleagues. It has been a pleasure to working with Jennifer on the purchase of our new home and upcoming sale of our other home. She is a five star realtor - knowledgeable, responsive, and very engaging. She's the best! I was amazed at Jennifer’s expertise, local contacts and knowledge, and attention to detail during the sale of my home and my also during the purchase of my new home. It was so nice to have someone there every step of the way taking care of any issues, and answering all my questions so quickly. I highly recommend her without any reservations!! Jennifer made buying my new home and selling my former home seem easy. Jennifer is highly professional and extremely knowledgeable about the local market. She is responsive and a delight to work with! I was moving from one state to another with a tight timeline and her expertise helped me to meet my deadlines. Her referrals for contractors were also very helpful. Jennifer is an excellent realtor. We moved from out-of-state and Jennifer was flexible and accommodating when we visited to look at houses. We appreciated her professionalism, great knowledge of the area, and her willingness to help us. Jennifer never rushed or pressured us, and truly wanted us to find the right house. We are so happy in the home she found for us, and would not hesitate to recommend her to anyone who is looking to buy or sell a home in the area. Jennifer helped us find a condo for our son who was entering law school. He only had a few weeks to find housing, so we were on a fast track. Jennifer was a master! She found many places for us to consider and we closed on a very nice, well located place within a month. Jennifer has our highest ratings both for her professionalism and her personal touch. You will not go wrong with contacting her. Jennifer has sold three of our homes and helped us find new homes. She is extremely knowledgeable about the process and an expert in the Chapel Hill real estate market. All home were sold at more than 95% of listing and one even was a full price offer!! She helps and coordinates all aspects of buying and selling. She is extremely detailed and always looks out for the best interest of her clients. I recommend Jennifer Williams without any reservation. Jennifer is an absolute gem. She's helped us sell two houses and buy one. She's always available, extremely hardworking and basically just a nice, unpretentious person. Our buying experience worked out great: we were looking for something older, funky, and she found us the house we love. We recommend her without hesitation. My husband and I were so happy with Jennifer that not only did she help us by our home, she sold two other homes in my husband's family. She is warm, extremely knowledgeable, a very good, ethical agent, she works to get a good, clear sense of what you want to buy and then she does an excellent job of finding house that will work with your budget and tastes. She found our home for us - not a week, sometimes day, goes by that we don't look at each other and comment on how happy we are and how much we love our home. I have had bad realtors. Jennifer is a GREAT realtor. We would always go back to her and would refer anyone to her without hesitation.